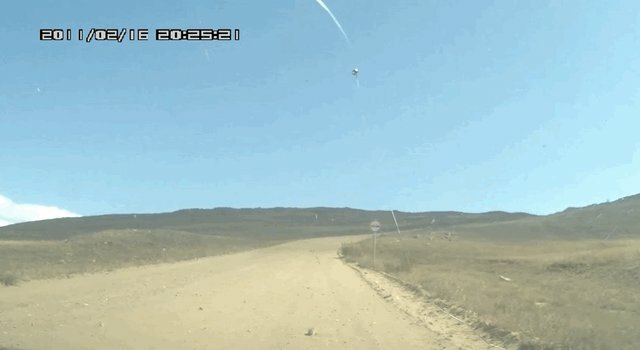 When a couple came across a small suslik (essentially the Russian version of a prairie dog), squirming in the middle of the road, they were understandably perplexed. 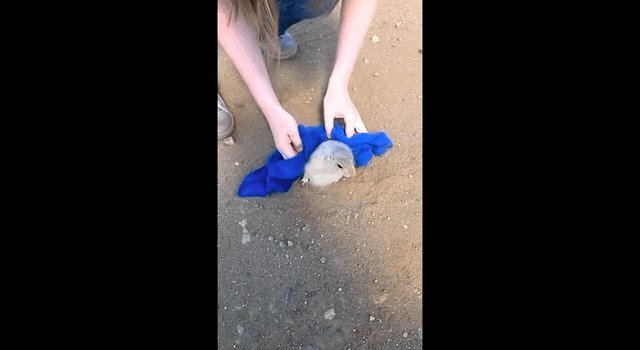 The little suslik was unable to get out of his too-small hole, and had inadvertently made himself a sitting duck in the middle of the dirt road. It's possible the little critter had gotten too chubby for his burrow, though it is also probable that the entrance to his tunnel had become flattened under the wheels of passing cars. 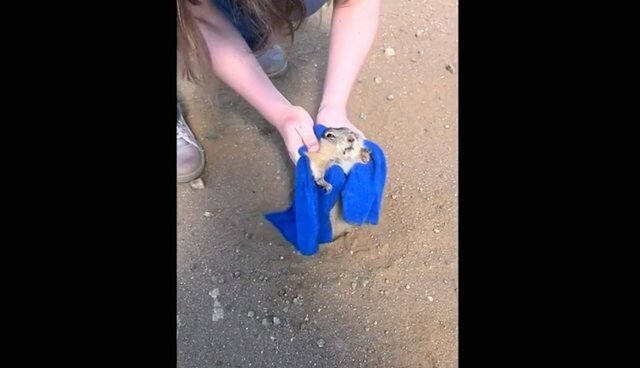 The couple grabbed a towel and set about to pulling the littler squirmer out of his tunnel. The suslik was understandably peeved at being touched by a human, and made his displeasure apparent. However, once he was pulled loose, the little guy ran happily into the brush, relieved to be freed from his hole. Jennifer Verdolin, scientist and animal behavior specialist, told The Dodo that "Had [the couple] not intervened [the animal] would have certainly died either by predation or exposure (e.g., overheating depending on the temperature). 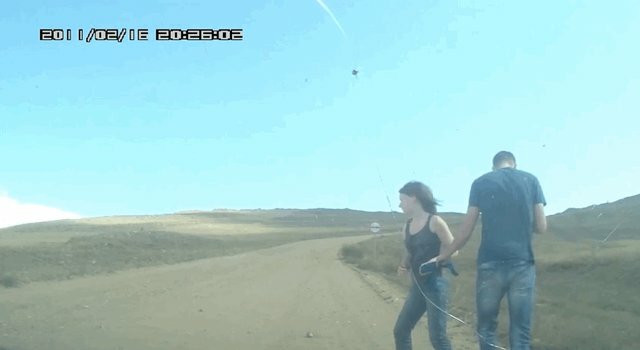 Based on the footage, I don't see anything detrimental that the couple did and I would have done exactly the same thing. Kudos to them for helping!"